More Store Closures in January for Canada: Several more stores will be closing in Canada this month — the retail industry is constantly in flux (and plenty of stores will also open this year as well). Some of this month’s closures will be individual stores, while others will be shuttering of entire chains. By the end of this month all Town Shoes locations will have closed — US behemoth DSW Designer Shoe Warehouse bought the company in 2014 and in August of 2018, it announced that the Town Shoes nameplate would be discontinued, signalling the end of the iconic name. Sister nameplates The Shoe Company and Shoe Warehouse (with 113 stores between the two of them) will remain open, though we’ve noticed a few individual locations have recently closed as well. DSW got a bit experimental last year with the introduction of its sneaker concept GRAIL — its first store opened in Vancouver and more could follow if it takes off. Reitmans’ athletic brand Hyba, which launched its own chain of stores in the fall of 2015, is closing its stores this month. The Hyba brand will still be available in Reitmans stores. Value-priced Hyba was considered to be a potential competitor to brands such as Lululemon, which has a cult following (not to mention considerably higher prices). Lowe’s recently announced that it would be closing 27 stores in Canada, most of which are under the Rona banner. Some aren’t happy — US-based Lowe’s bought Rona in 2016 and indicated at the time that all stores would remain open. Crabtree & Evelyn, which is closing stores worldwide, has exited most if not all of its 19 remaining Canadian units. Retail Insider reported on the filing for creditor protection last month. US-based children’s retailer Gymboree is expected to declare bankruptcy for a second time in two years, and the fate of its stores in Canada is unclear. US women’s retailer Chico’s FAS has also announced that it will close about 250 stores under multiple nameplates — the retailer has only opened three Chico’s stores since it entered Canada in August of 2014 (all in suburban Toronto) as well as five White House Black Market locations, also all in Ontario. A few individual stores are closing this month as well, and some have already shuttered. Leon’s furniture closed two stores in Nova Scotia this month out of the blue — the company is reducing its store count and re-assessing its operations as it grows e-commerce. One shuttered Leon’s store was in Coldbrook and the other in Bridgewater. Halifax ReTales reports that Panache Luxury Linens in Halifax also shut suddenly without a sign on the door, or an explanation on social media. In New Brunswick, contemporary-priced Saint John-based Colwell’s Fashions is closing both its men’s and women’s boutiques in Brunswick Square after 30 years in operation. ‘Cultural department store’ chain Indigo is closing its 5,000-square-foot Granville Street location next month in downtown Vancouver — not a big loss following the opening of a much larger store on nearby Robson Street. After six years, footwear retailer Modern Sole in Sherwood Park, Alberta, is closing its Lakeland Drive store on January 31 . Interestingly, a Smitty’s restaurant, which has operated at Regina’s Southland Shopping Centre for decades, is closing as well. In an unusual move, Lush Cosmetics is exiting Thunder Bay’s Intercity Shopping Centre — Lush is otherwise seeing gangbuster sales in Canada and is significantly expanding many stores here. This month Retail Insider also reported on store closings including Canada’s Hugo Boss flagship on Toronto’s Bloor St. W., Vancouver’s Enda B., a Walmart in Scarborough, and J.Crew store at CF Toronto Eaton Centre (which will be replaced later this year by a flagship Lululemon). Retail Insider will continue to report on store openings and closings throughout the year and the good news is that there will be more openings than closings anticipated. This month Retail Insider will report on international retailers that opened stores in 2018, as well as a forecast for this year. Colton’s Couture Launches 3rd Luxury Boutique in 2 years: Curated luxury lifestyle boutique Colton’s Couture has launched its largest boutique offering to date with the opening of its Metropolis at Metrotown location just in time for the shopping period leading to Chinese New Year. Similar in concept and design as the CF Richmond Centre location, the cool grey and black marble motif suits the 2,100-square-foot location. A key feature of the new location is the unique vault display of brushed steel with a ‘darkened wood’ patina. The display cases roll out using a hand-crank mechanism akin to those seen at historical libraries and will house popular outerwear brands such as Nobis, SAM.NYC, and furrier Mr & Mrs Italy. Colton’s Couture, which began as a private shopping club with a $25K membership fee, ventured into brick & mortar retail in 2016, and within three short years, has launched its third location with a fourth at McArthurGlen Outlet in the works for 2019. The company will celebrate with a hard-launch in early 2019 with a series of invite-only ‘meet & greets’ with VIP clients, media, local influencers, and collaborators. Starbucks Ramps Up Canadian ‘Reserve Bar’ Expansion: Starbucks, known for its coffee as well as an ever-expanding assortment of food and drinks, is further expanding into the Canadian market with its elevated Reserve concept. The highly experiential storefronts feature a ‘multi-sensory coffee experience’ that includes brewing methods such as the Chemex, Siphon, Clover brewing system, and Nitro Cold Brew taps, not to mention drinks such as the Nitro Cascara Cloud, Hazelnut Bianco Latte, Spiced Ginger Cold Brew, and House Affogato. Food offerings such as chorizo mac and cheese and a pear and brie flatbread are hits with consumers. Starbuck’s opened its first Reserve Bar in Canada in late 2016 in Ottawa, with a second opening on Main Street in Vancouver in early 2017. A Toronto location opened in February of 2018 and most recently, Starbucks opened an impressive 4,000-square-foot downtown Vancouver Reserve Bar which replaced a Tip Top Tailors store at CF Pacific Centre. Besides the food and beverage offerings, what sets Starbucks Reserve apart are gorgeous interiors. The impressive downtown Vancouver location features a modern and sleek design with a mix of rich walnut wood, marble, quartz, and powder coated metal and glass, with whimsical elements such as a piece of driftwood on the wall (sourced from Vancouver Island). Senior designer Erich Mele has worked on several projects (including the 20,000-square-foot downtown Seattle flagship). Vancouver-based manufacturer Peregrine created many of the fixtures in the new downtown Vancouver space, including the bar, countertops, wine and coffee racks, menu board, display tables, pastry showcase, art wall, condiment counter and marble slab frame. More Starbucks Reserve Bars and even the brand’s Roastery are anticipated in Canada, and they could be much bigger than the Reserve Bars we’re seeing now. Sources are saying that a large downtown Toronto location could be in the works, which would span more than one level and be more in line with big stores such as a new Reserve/Roastery location in Shanghai. The biggest Starbucks Roastery location in the world, spanning a whopping 43,000-square-feet over four levels, will be opening this year on Michigan Avenue in Chicago (replacing a Crate & Barrel store). For those with a mind for space, that’s about an acre of coffee heaven. Foodtastic Hungry to Grow Portfolio of Brands Across Canada: Foodtastic Inc., the Quebec-based franchisor of multiple restaurant concepts is ramping up expansion after announcing a $47 million investment from Restaurant Royalty Partners. This latest announcement is a boon for Foodtastic, which is already a leader in the restaurant franchising business in Quebec, with more than 50 restaurants including, La Belle et La Boeuf/The Beauty & The Beeeef, Carlos & Pepe's Taqueria, Souvlaki Bar (Greek Specialty), Nickels Deli, Bacaro Urban Pizzeria, and Enoteca Monza Pizzeria. Foodtastic will continue its organic growth plan, which has seen 15 new restaurants open in 2018, with 30 planned for 2019. Markets of interest include its home province of Quebec, as well as Ontario, Alberta, and British Columbia. Foodtastic is expanding its Flagship La Belle et La Boeuf/The Beauty & The Beef) concept, Winner of Best Burger Award 3 years running. The bar area features every major sporting event on giant screens. Ideal spaces are 4,500- to 5,000-square-feet in super regional malls, open-air centres, outlet centres, and along busy streets. Foodtastic opened its Souvlaki Bar Concept in 2014 with Superstar Greek Singer Mihalis Xatzigiannis, with immediate success. Souvlaki Bar has also positioned itself for Food Court Counters and is among the Top 3 in sales at major malls like Carrefour Laval and Rockland Centre. For the restaurant concept, again super regional malls, open-air centres, outlet centres, and busy streets are ideal, and the size is 3,500- to 4,000-square-feet. Enoteca Monza Pizzeria Restaurants, a growing, Montreal-based full-service Italian-restaurant concept with a state-of-the-art food commissary. Ideal spaces are 5,500- to 6,000-square-feet in super regional malls, open-air centres, outlet centres, and along busy streets. Foodtastic seeks quality restaurant concepts to acquire, and another announcement is imminent. In the meantime, the company continues to grow its core brands in markets across the country. For Ontario (not including Ottawa), Alberta, and BC, landlords may contact Tony Flanz Think Retail. For Quebec, the contact is Richard Gareau, and for Ottawa, it’s David Cantor. My Roti Place Opens its Fourth Toronto Location: My Roti Place, Toronto’s beloved made-to-order roti restaurant, continues its expansion with the official opening of its fourth location in Toronto’s Parkdale neighbourhood at 1376 Queen Street West. Located in the space formerly held by Bacchus Roti, guests can dine in or pull up a stool at the restaurant's bar. This is the brand’s first licensed location which will offer artisanal cocktails designed in-house by the My Roti Place team. My Roti Place opened its first Toronto location on Queen Street West in May of 2018 and quickly established a growing fanbase in the city. Committed to using authentic, fresh, ingredients paired with complex flavours and Indian inspired curries, My Roti Place’s “build your own roti” menu, allows customers (from vegans to meat-lovers) to customize their roti. For those who like to play with fire, the Parkdale location will also offer guests the opportunity to go head-to-head with Chef Karthik Kumar and take on the My Roti Place #AgniChallenge! Contestants will have a chance to win their meal, by attempting to eat Canada’s SPICIEST roti in 20 minutes or less. Agni, meaning fire, in Sanskrit, truly captures the essence of this dish which layers 11 different chilies, peppers and spices making it the HOTTEST curry My Roti Place has to offer. We wish all challengers the best of luck! ﻿Planet Fitness Expands to Keep Canadians from Expanding: Planet Fitness launched its first Alberta club in Grande Prairie at 11120 100th Avenue. This is its first club to enter Alberta, and its fifth location operated by the ECP-PF Holdings Group, Inc. in Canada. The new location is 22,000-square-foot and will offer brand new cardio machines, new fully equipped locker rooms with day lockers and showers, two massage chairs, many full-size flat screen televisions, a 30-minute express circuit, four HydroMassage beds, three stand-up tanning beds, two lay-down tanning beds and one Total Body Enhancement booth. The club will be open and staffed 24 hours, seven days a week. 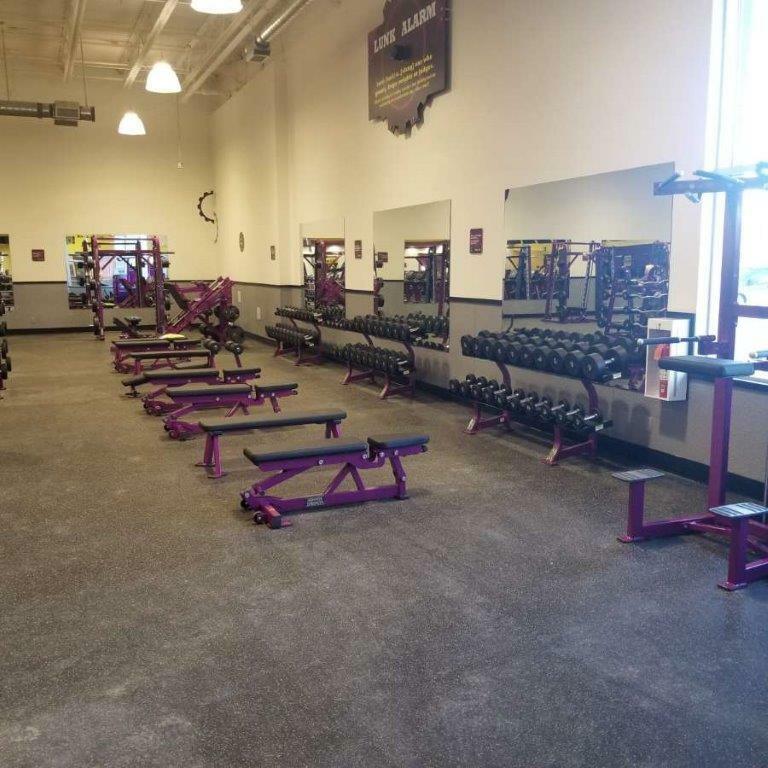 Planet Fitness prides itself on offering extremely affordable memberships and a unique Judgement Free Zone® unlike any other gym, where members experience a hassle-free, non-intimidating environment. The next phase for Planet Fitness is adding locations to their 4 open locations in BC, in Abbotsford, Kamloops, Nanaimo, and Surrey. 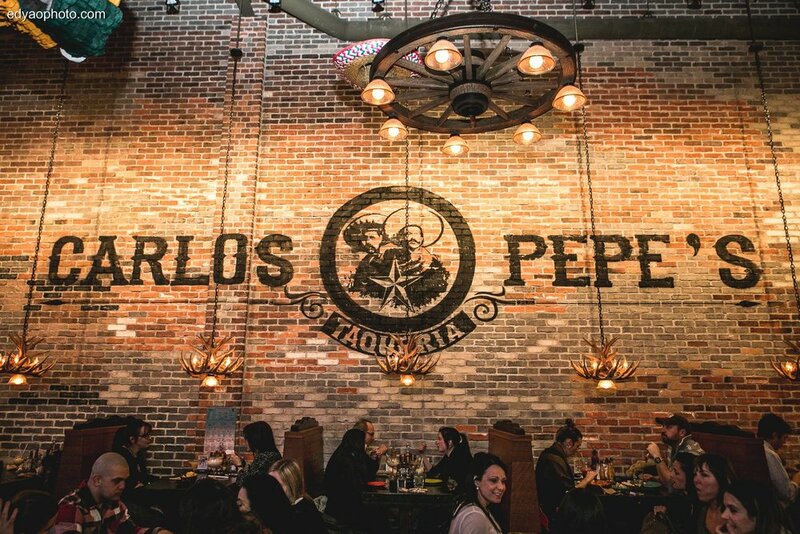 They have announced that there will be a few more locations opening up this year - a second location in Surrey, in North Vancouver, and in Chilliwack, all of which are at various stages of planning and development. IDS 2019 Expands with Toronto Launch of New IDS Contract: Canada’s largest design exposition and conference, IDS Toronto 2019, will take place from January 17-20, 2019 at the Metro Toronto Convention Centre. Bringing together the world’s most creative minds, innovative brands, celebrity speakers and disruptors, IDS Toronto is a destination for the exploration of the intersection of commerce and design in Canada. The show has expanded this year and will include two key retail discussions. Marcella Au, associate at Quadrangle presents ‘Retail Therapy: Design Principles for the Future.’ This panel brings together retail experts from a wide range of backgrounds to share their insights on how retail and roll-out are changing, emerging trends, and facilitate a discussion examining experiential retail, large format flagships, target demographics, space sharing, pop-ups, and technology. Mike Dobbell, Partner Jam3 presents ‘Digital, and the Future of In-Store Retail’ which will encourage discussion on the digital future of retail and the latest in digitizing the in-store experience and why digital applications make a profound difference in today’s retail landscape. The seminar will also review the merit of interactive installations and how to extend the customer’s digital experience beyond the store. IDS Toronto 2019 has moved to the south building of the Metro Toronto Convention Centre (instead of the previous location in the north building) and feature a new floor plan designed to be dynamic and encourage more interaction with exhibitors, increase swell time at the event, and enhance the overall experience. ﻿‘From Rachel’ Tights Stretching Across North America and Beyond: Founded in 2014, Canadian tights subscription service, From Rachel, has seen a huge change in the retail landscape since its inception. More specifically, a 300% growth year-over-year as more consumers head online for purchases. From Rachel was founded by three friends from Montreal - Carolyne, Alyeska, and Melanie. The three were looking for a way to refresh their wardrobes and noticed a gap in the market for high-quality tights. After several years of hand delivering tights, working out of Alyeska's basement, an appearance on L'oeil du Dragon, the company experienced a 1300% increase in client growth outside of Quebec. An appearance on Dragons Den in October 2018, garnered a deal with Michele Romanow, who is the latest to join the brand’s team of investors that includes François Arbour (founder of Premium Beat, a Shutterstock company), Yves-Éric Laliberté (CEO Stream the World) and Jean-François Bouchard (founder of Sid Lee and C2 Montreal). The brand’s subscription service allows customers to select their delivery frequency, tight quantity and style preferences, making it a completely bespoke experience for each person.